Unsure as to what to do with your wedding dress after the day? 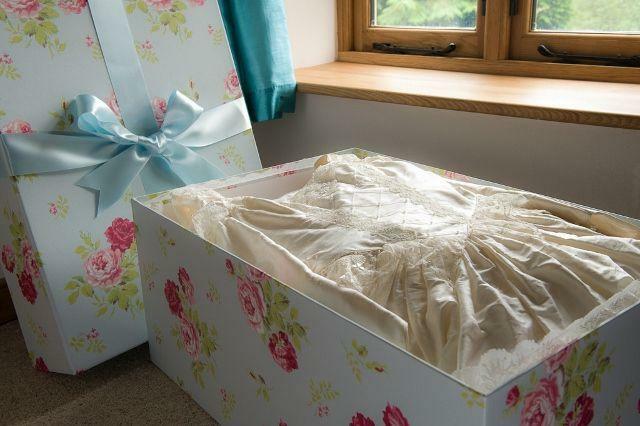 The Empty Box Company hand makes beautiful Wedding Dress Boxes to keep and preserve a dress for the years to come. The Boxes are very romantic, and sturdy, to protect your dress from light, dust, disaster and very importantly to prevent your dress from yellowing with time. Each box is made by hand in the UK, from specially milled board, with many sizes for each style of dress. Prices start at £34.50. We also make Wedding Travel Boxes for transporting a wedding dress on a plane to take as hand luggage for weddings abroad. Plus a full range of gorgeous accessory boxes such as Hat Boxes, Shoe Boxes, Lingerie Boxes, Gift Boxes and Posting Boxes for your reception. Please do visit our website, using code FWS16 for 10% discount.